What is the value of a mile? The Healthpoints proposition, or how many steps would you walk for miles? 5 Comments on The Healthpoints proposition, or how many steps would you walk for miles? I would walk 500 miles. And I would walk 500 more. But beyond that, probably not. An interesting topic came up in The Milelion’s Telegram Group last night. 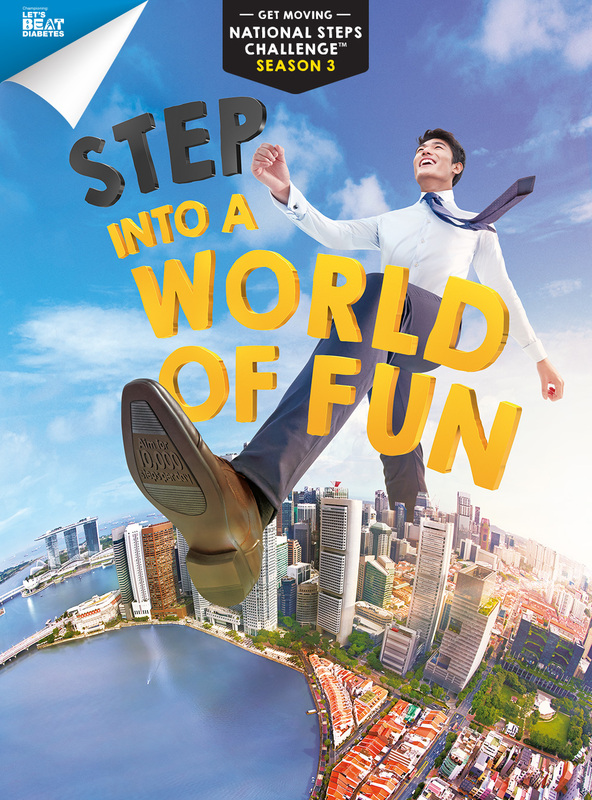 The Health Promotion Board has started an initiative called HealthHub that encourages Singaporeans to stop sitting at their computers all day planning multi-city award bookings and, you know, get out and do stuff. There’s still some confusion on my end about HealthHub vs Healthy365 and the myriad of terms that government websites seem to like to bombard you with, but long story short, signing up for a HealthHub account and opening a HealthPoints account (you have to do it separately- opening a HealthHub account is needed to open a HealthPoints account but it’s not automatic) lets you earn rewards points for virtuous behaviour. For a limited time, signing up for a Healthpoints account earns you 1,500 bonus Healthpoints (equivalent to a $10 voucher at selected merchants). This promotion was originally supposed to be valid for sign ups till 28 February (and indeed, the website still reflects that), but someone in the chat has sent over this correspondence with the customer service team that suggests the promotion is on till 7 March. We’ve had people sign up since then and confirm that they got the 1,500 points. 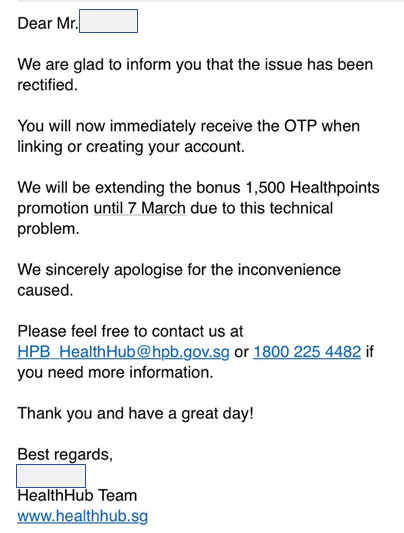 Again, you can earn Healthpoints for a whole range of activities, but the one that intrigued me the most was the linking of Healthpoints to the National Steps Challenge (NSC). Healthpoints can be converted into Tap For More points, which in turn can be converted into Krisflyer miles. You’ll remember I covered this once upon a long time ago. When you walk 10,000 steps in one day, you get 40 Healthpoints, which is 17.4 KF miles. That means its 575 steps to a KF mile, or in other words, each step is 0.00174 of a mile. Now, the average stride of a man is 0.76m, and for a woman it’s 0.67m. So those 575 steps would be a distance of 437m for a man and 385m for a woman. Still with me here? Why I’m focusing on the multiplier effect is that I want to calculate exactly how far, in distance, you’d need to walk to earn the various awards. 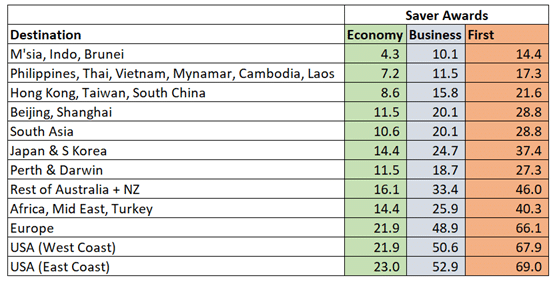 For example, it’s 88,000 miles in business class for a one way between Singapore and San Francisco. To earn that through walking, a man would have to walk 23,783 miles, and a woman 20,952 miles. But because of the difference in stride length between a man and a woman, it’s probably the most fair to present the chart in terms of a harmonized measurement of steps. The above working is purely hypothetical of course. In practice, all HealthPoints earned through the NSC will expire 30 June 2018, so you’d never accumulate enough for anything. Again, this is just a thought experiment- don’t nitpick my workings, I’m fragile and sensitive. Seriously though, there are quite a few simple activities you can do to earn Healthpoints like sharing articles or ordering qualifying dishes when eating out (man, this is nudge theory gone mad). Those, together with the points you earn from walking, should put you in a position to get at least some value out of the program. 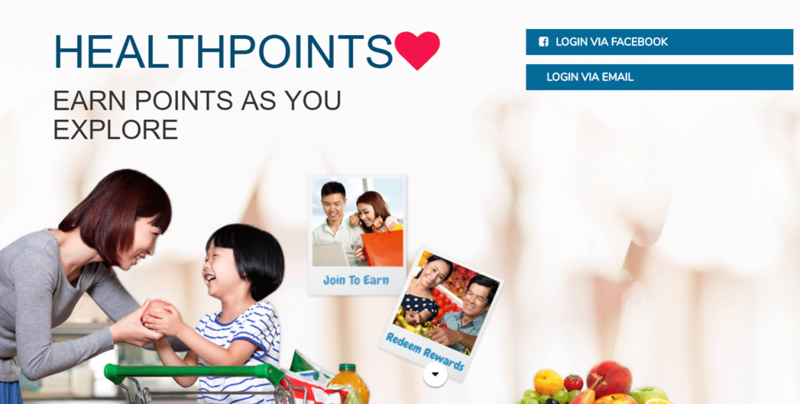 Final point: should you redeem your Healthpoint for miles or vouchers? Well, 1,500 points gets you a $10 voucher, so 1 point is 0.67 cents. That same point would get you 0.43 of a mile, or 0.86 cents at a 2 cent valuation. It’s marginal, to me. I don’t think you can go wrong either way. 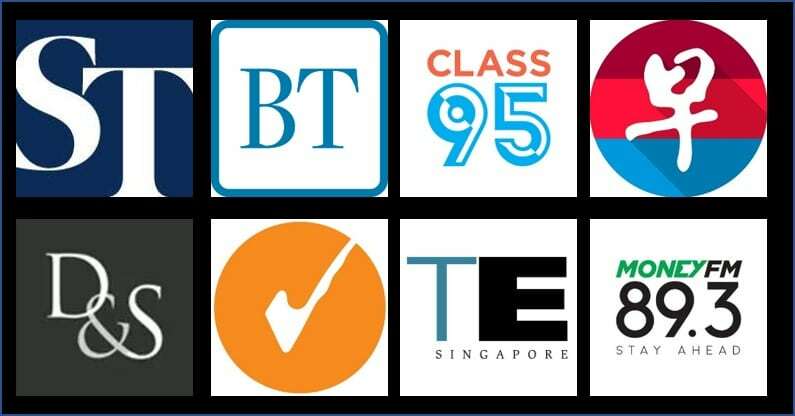 Jokes aside, one useful thing is that you can top up ezlink/FP cards from healthpoints. I have enough to put $20 on it. BTW, on the app says healthpoints expire 31st of Dec. Where is the info about Jun 30? You can have HealthPoints autoconvert to tapformore upon expiry. Not tested. Don’t taze me bro. What type of step counters are/are not supported? Get the latest posts, offers and deals delivered to your inbox. Burning question? Collaboration proposition? Nigerian prince trying to extradite totally legitimate funds? Please check your email for a confirmation message. Someone will be in touch shortly to complete your application.